After she killed the Levi squad, Eren transformed to fight the Female Titan. 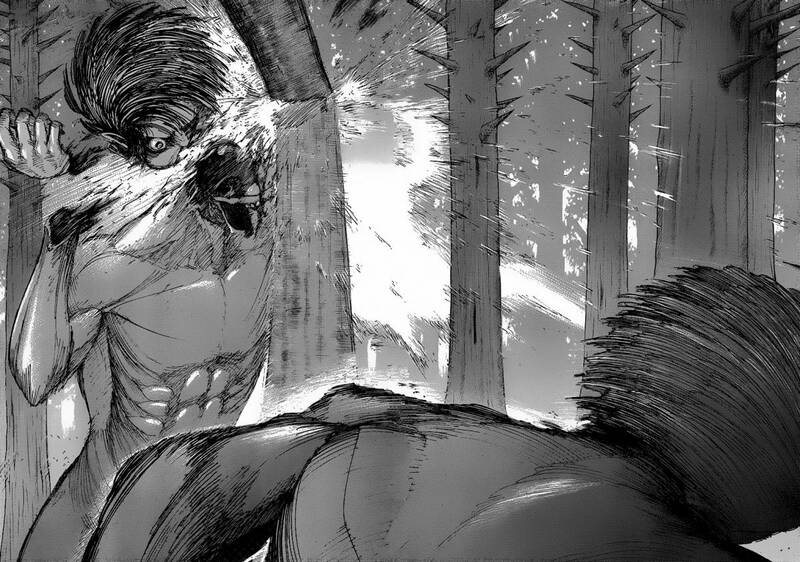 In Chapter 29, Hammer, it looked like Eren was having the upper hand, but then the Female Titan turned around, and with one horizontal motion, cut Eren's titan form's head in half. How did that happen? That part wasn't clear in the anime nor the manga. Did she take a tree and smacked him? Did she harden her hand and hit him? See page 33, Chapter 32, "Compassion" from the manga. 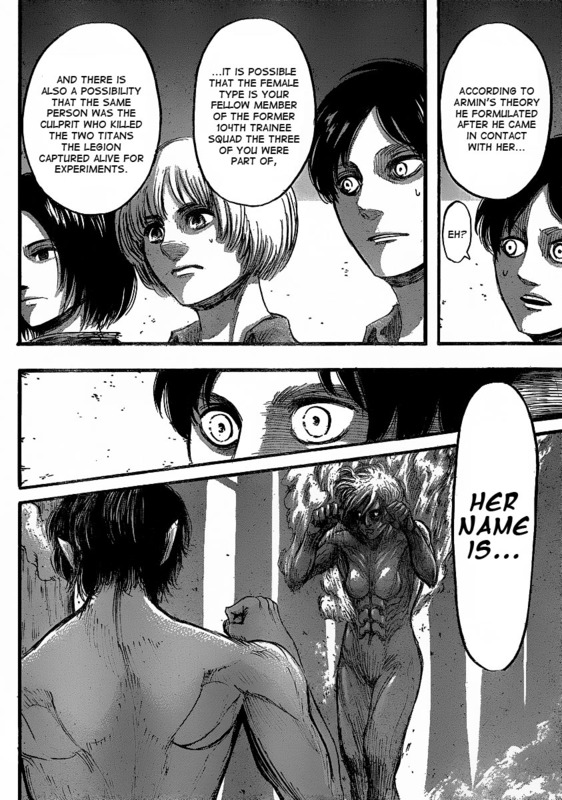 The previous page followed discussion over Annie as a suspect in being the Female Titan. Mikasa asks Eren, having fought the Female Titan, if anything reminded him of Annie at all. 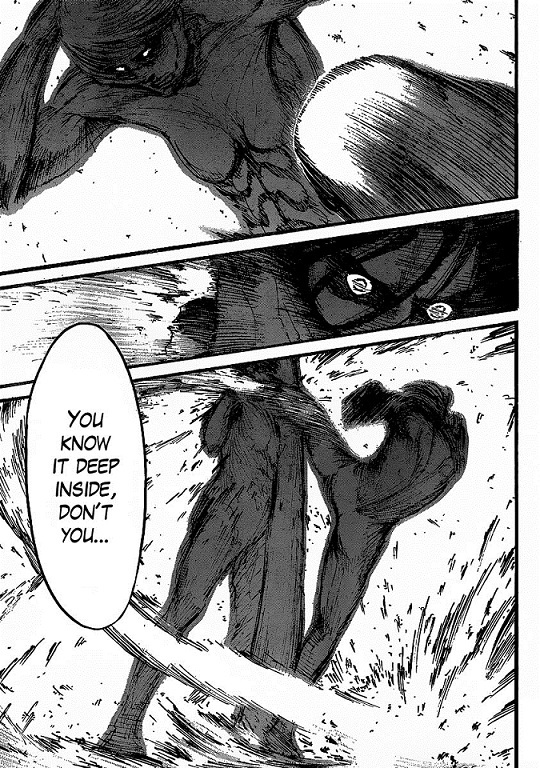 Eren then remembers Annie's stance as a parallel to the Female Titan moving from that same stance into her kick. The text is spoken by Mikasa to convince Eren that deep down he knows first hand how close to the similarities are. Warning This might contain spoilers. The move she used to finish Eren was a direct reference to a earlier scene in the anime (this has not been done in th manga as far as I know). At this point in time the viewer does not know Annie is the titan. The fight move used there resembles her fighting moves used during the training. this is one of the clue's beside the face resemblance of the titan to Annie. Some deeper information on this, the move she used is a karate move from the original Kata's. 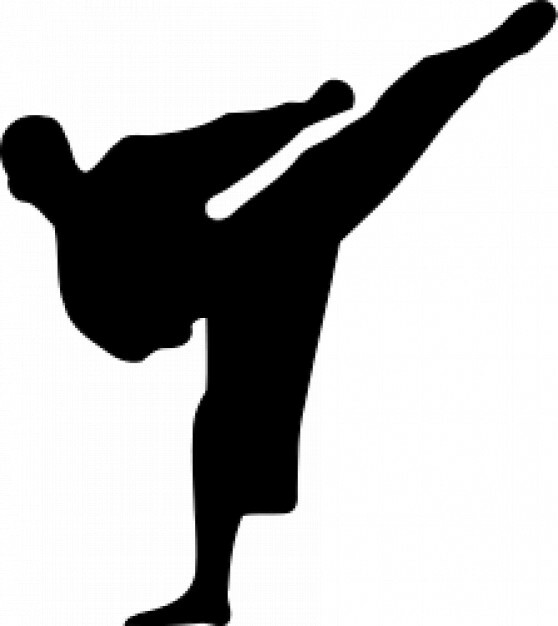 As stated in the video linked she has been trained in martial arts by her father. As I recall there was an reaction of fist movement (in the anime). Probably harden her hand and got the tree on the way when cutting his head off. 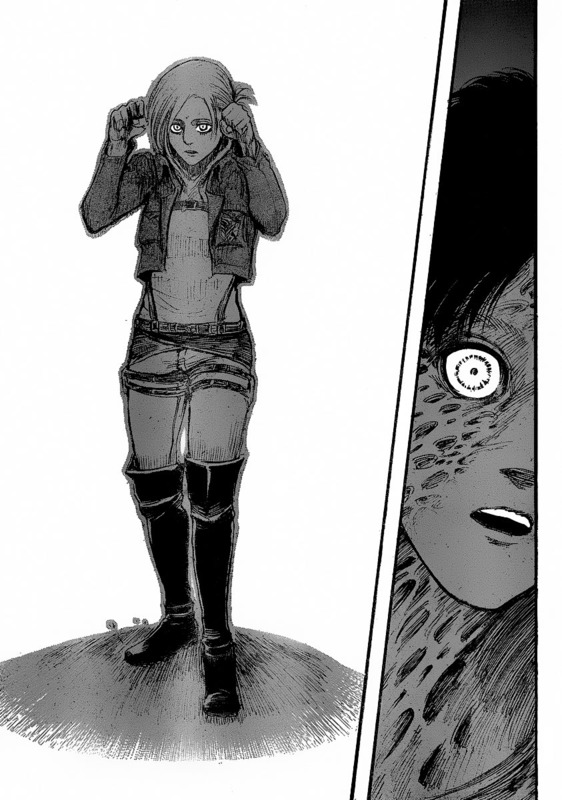 Why is the Female Titan after Eren? How does a Titan form or regenerate when injured?